Great news! We know that theme editing has been an often requested feature and we’re excited to announce we have implemented this feature. 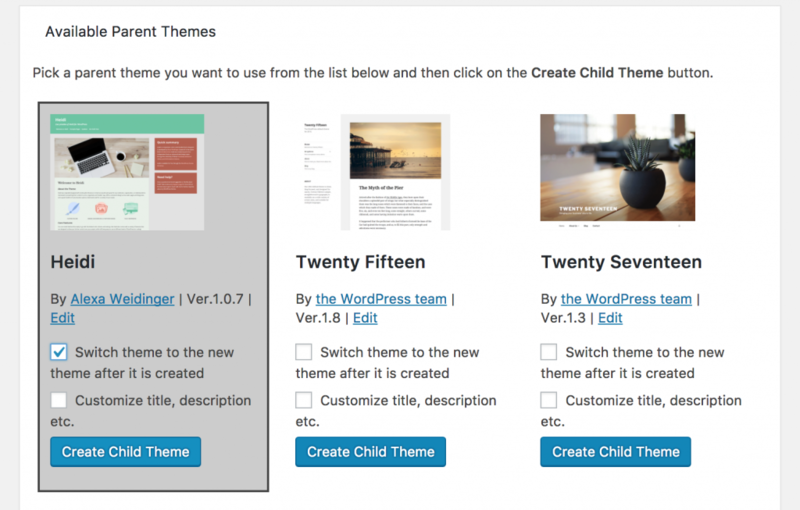 To avoid manually creating a child theme we are now using a free plugin from WordPress.org that creates child themes and allows you to edit them. We needed to tweak our system a bit for the plugin, but it now works perfectly. You now get the simplicity of using the default WordPress theme editor but with the security and safety of automated theme updates. To find out more read the full instructions on how to use the theme plugin in our Help Center and let us know you what you think. How does this impact the standard wordpress installation that you put on every blog? do you still do this or will it now be changed? It does not affect the standard installation. The plugin is not installed by default, you need to do it inside the WordPress plugin menu.